Most of the committee agrees with you. I myself do not hold Adams, Francis, Fairbanks, Tatupu or Stingley responsible for Dreith, Tatum or Sullivan-each of whom committed extraordinarily egregious acts to steal rings from the Patriots. I definitely support Adams first then Fairbanks and Francis. Stingley also as a tribute. Not excited about Mosi. Great Patriot but not HOF.
' I don't think "rings" should be a criteria. Rings are a TEAM accomplishment. The Pats HOF is an INDIVIDUAL accomplishment. That being said, while Moss IS definitely a first ballot HOFer in Canton, his short stay here in NE and the way he left SHOULD disqualify him for the Pats HOF, regardless of how productive he was in those 3 years. That’s fine we don’t have to agree. That’s part of the thing about HOFs they are subjective. Personally I see it in terms of contribution to the team so being part of delivering championships would be an imortant criterion if i were making the rules. Not excited about Mosi. Great Patriot but not HOF. His credentials are comparable to Bruschi, Adams and Faulk. Being popular is obviously not a criteria; so it's necessary to perceive the development and importance of special teams play. Mosi also made significant contributions on offense; he is one of the greatest runners in history in the snow. Recognition of the significance of special teams specialists came with Steve Tasker, and is of course established today, on the Patriots with Matthew Slater. Careful examination of Tatupu's career reveals his worthiness of the team HOF. We would not have won the AFC championship in 1985 without him. I don’t look at that way I look at it as accomplishment. It’s why I always find the “deserve a ring” argument silly. Life is about what you accomplish not how you rationalize falling short. The 2007 Patriots definitely fell short. Terrible coaching, missed opportunities and yes, holding was not called on the Tyree catch. 1976 is in an entirely different universe. Travesty does not begin to describe what occurred, throughout the game and then in extremes at the end. For the Oakland Raiders, what they were awarded in 1976 is not an accomplishment, and never will be. It is an undeserved gift. That said, it's just ridiculous to exclude a player from a team hall of fame simply because he did not participate on a world champion. The player has zero control on all of ownership and management's decisions. 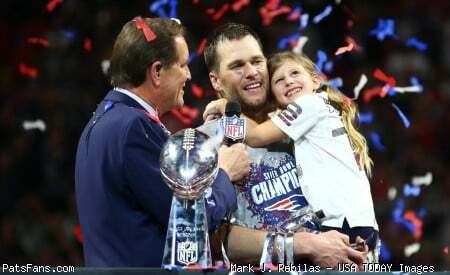 In the case of Adams, exhibiting extraordinary character and leadership on and off the field, amidst turmoil, adversity and unwarranted denigration, is arguably more worthy of consideration than somebody who simply showed up, did his job and rode Tom Brady's coattails. First I said nothing about excluding and second my criteria is my criteria regardless of you having different ones. Is this a joke? Randy had one great season. You guys are crazy for not thinking Randy belongs. He has 50 career TDs in a patriots uniform...that’s 4th all time in franchise history! He’s 4th all time in franchise history in touchdowns. I said yes. The marriage was good while it lasted. Remember when Randy Moss joined the team and then he didn't practice at all? Leading up to the opener there was speculation that he wouldn't even play? Then he and Brady went out and laid waste to the Jets. It was jaw-droppingly awesome, and for the next three years, until Randy lost a step there were so many moments like that. Tom's not even retired yet, and all the rest of those should WAIT. All should be in now. First. Russ is the only one who can, but ALL should have been able to experience the honor before they passed. All of them. That they didn't and still haven't is sheer, utter ignorance and stupidity. Hah great Star Trek reference. I wasn't around for those old timers, I don't have an opinion on them. But, it'd certainly be incredibly difficult to Moss to pass numerous guys. I think it's no and I don't think he'll be even close to making the Pats hall. Rings count for something but, not an end all be all. Mankins and Welker are certainly in the mix. I don't really care how he left, Moss is a Viking. Let them put him in their Hall. Adams is only one of that list who they should just usher in without even waiting on the Vet committee. I personally think Fairbanks and Tatupu are fringe. I do think Francis and Stingley deserve to get in but if they have to wait for the Vet committee so be it. The guys like Seymour, Vrabel and Harrison deserve it more. I wouldn't have him jump to the front of the line or anything, but I think he gets in. To me a team hall of fame is very different from the NFL hall of fame. For instance, I think a big enough single play gets you in a team HOF - I think Butler's SB49 pick by itself is a slam dunk team HOF qualification for instance. Randy Moss set the receiving TD record for the entire NFL as a Patriot. That by himself gets him in IMO. And it might seem shallow, but the number of great individual moments he gave Patriots fans was just ridiculous, and that matters. Finally, it only took him a few seasons to jump into the top 5 all-time Patriot receivers.